The Look: Slightly costume-y and princess-y, this romantic makeup look is perfect for those who aren't afraid to stand out of the crowd. 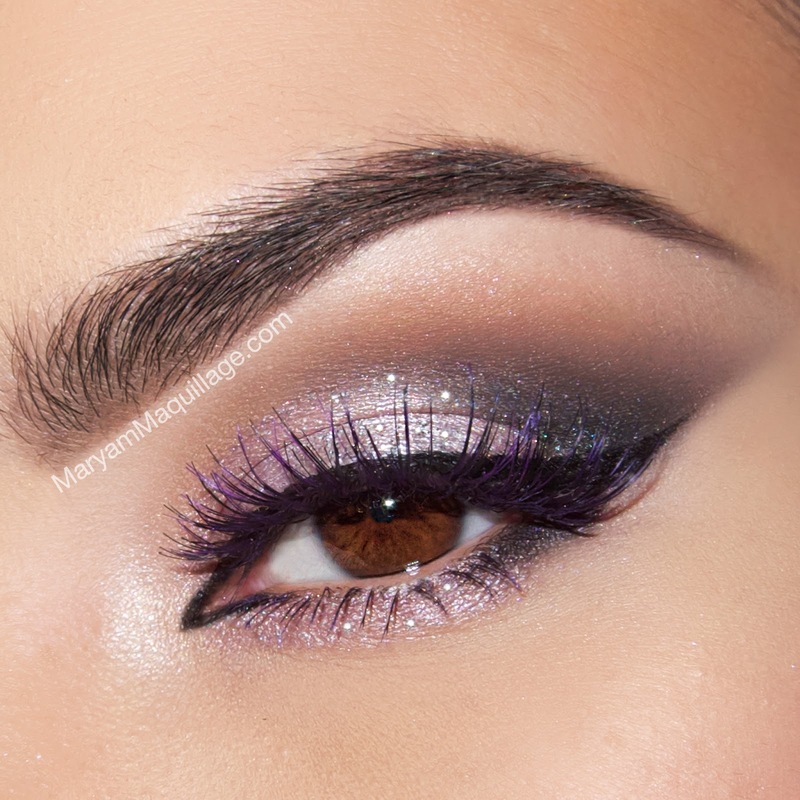 The sparkling lavender smokey eyes are emphasized with cat eye liner extended in the inner and outer corners and paired with glossy pink lips and glistening cheekbones. The brows are full, strong and expertly arched, while the featured are slightly sculpted and contoured. Apply eye base all over the lid. 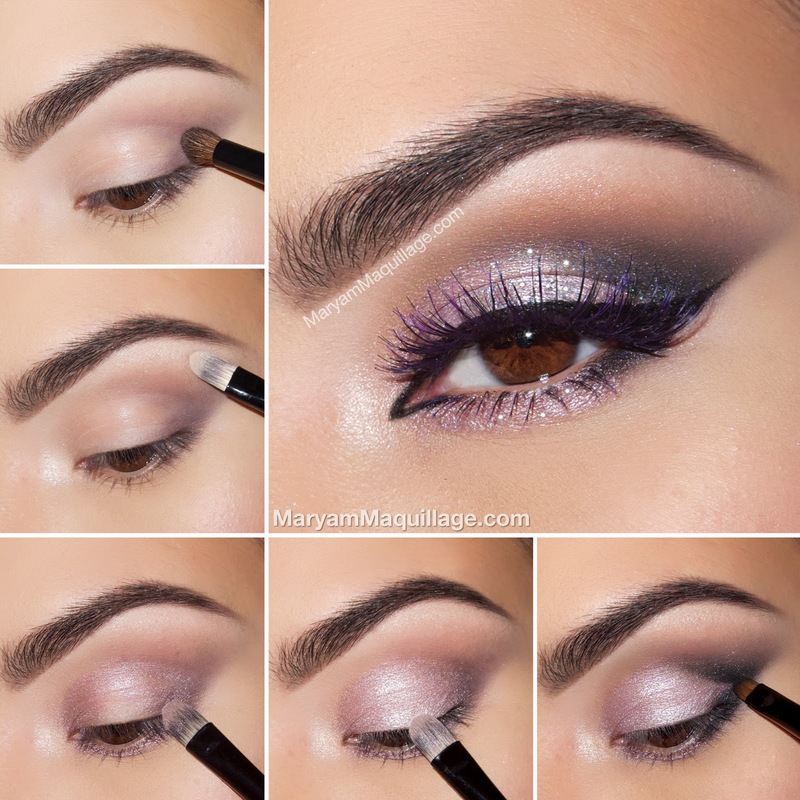 Using a precision contour brush, apply "Aubergine" shadow (ELEMENT Palette) to the outer crease and outer v of the eye. Blend it out using short strokes and add a bit of "Native" (ELEMENT) eyeshadow to warm up the transition. Using a flat brush, highlight the inner corner and directly below the brow using "Shell" eyeshadow and blending it down towards "Native". Clean off the brush and apply "Dollface" shadow to the inner and outer portions of the lid. Use the tip of the brush to line the lower lash line. With the same brush, apply "Heiress" eyeshadow by packing it on to the blank center of the lid. Using a fine detailing brush, apply "Raven" eyeshadow (ELEMENT) to the outer v to deepen the gradient and add more smokiness. Optional: Add silver "Celebrate" glitter to the center of the lid. Line the top lash line with precision felt tip liner and outline the inner corner. Add mascara and purple lashes. 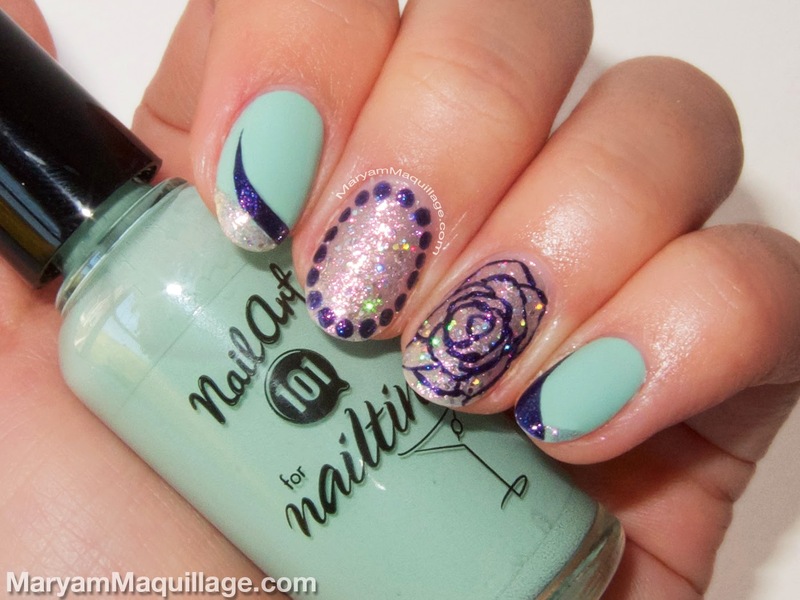 My nails this week are super glittery, with a focus on purple and lavender. I'm using the latest collection from The Lacquer Cabinet by Nailtini, curated and mixed by beauty blogger Lisa Bailey of Nail-Art-101. Love the photos, the city lights reflecting off the water really complement the makeup.